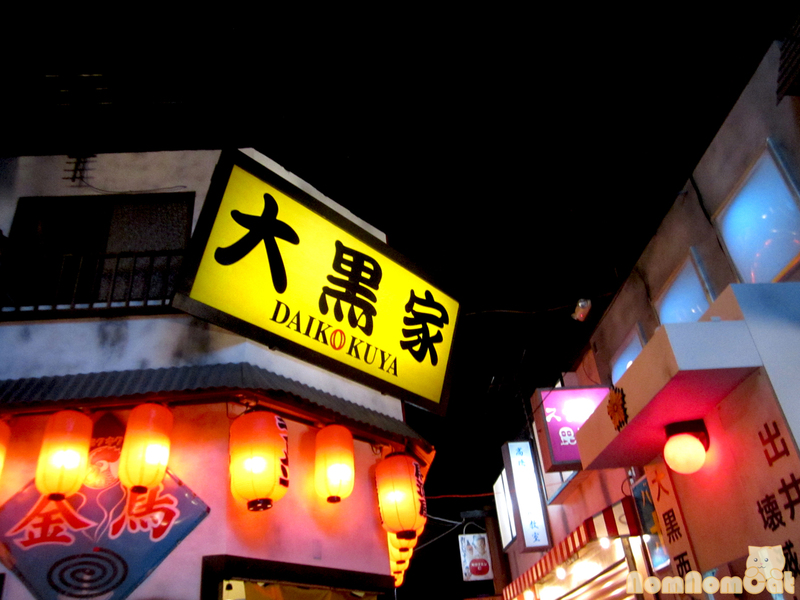 Yet another adventure in Little Osaka lies in this hole-in-the-wall joint Hide (pronounced hee-day) Sushi. I must have driven by it hundreds of times since moving to the Westside. It’s in an unassuming little corner near Tsujita Annex and gr/eats, immediately across the street from the Giant Robot Store. The perfect little meeting place for me and S to rendezvous for her belated birthday dinner. Before we started, he asked me just one question, Nan de mo ii? (Is anything okay?) Hai, iin desu, I replied in response. With a knowing smile, he focused on his craft. First up, maguro (tuna; not pictured — we were too excited… a theme throughout the evening, actually) and hamachi (yellowtail). Generous cuts of familiar fish — a simple, delicious start. 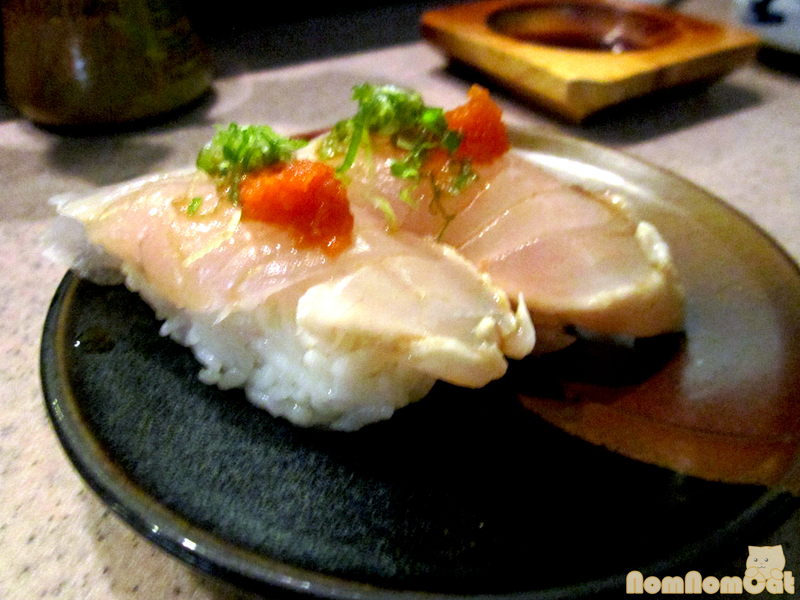 Tai (red snapper): Dipped in a citrus-y ponzu sauce, the red snapper tasted slightly fishy (in a very, very good way). Amaebi no atama (fried shrimp heads): Just as promised, one of the servers brought out a magnificent plate of crispy fried shrimp heads. 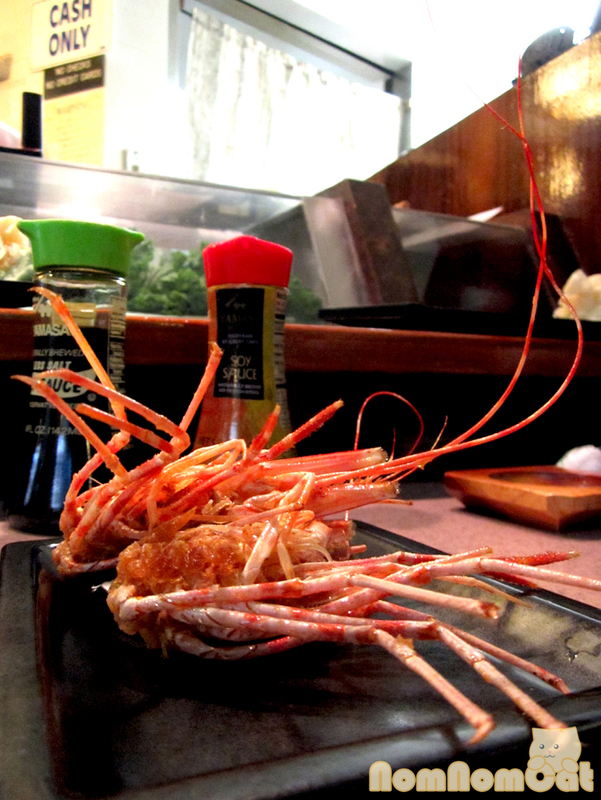 Some places prepare them tempura-style, but these were au naturale and ever so simply salted. Every single part is edible, even the “skull” and eyeballs – and check out the marvelous height on those antennae! Don’t be shy. 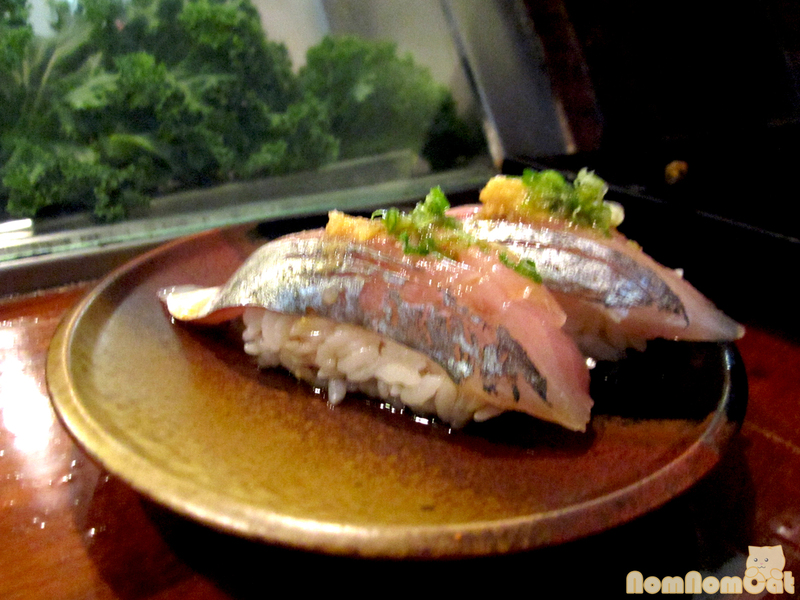 Aji (Spanish mackerel): One of S’ favorites, this fishy, oily cut was excellent and dressed with just a touch of ponzu. 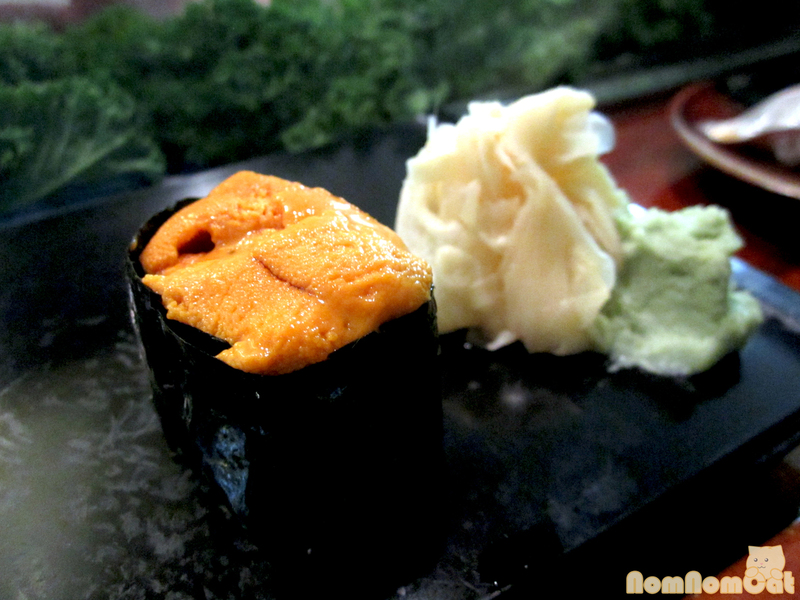 Uni (sea urchin): Sweet and creamy, the sea urchin was silky smooth with just the right touch of briny, rich flavor. 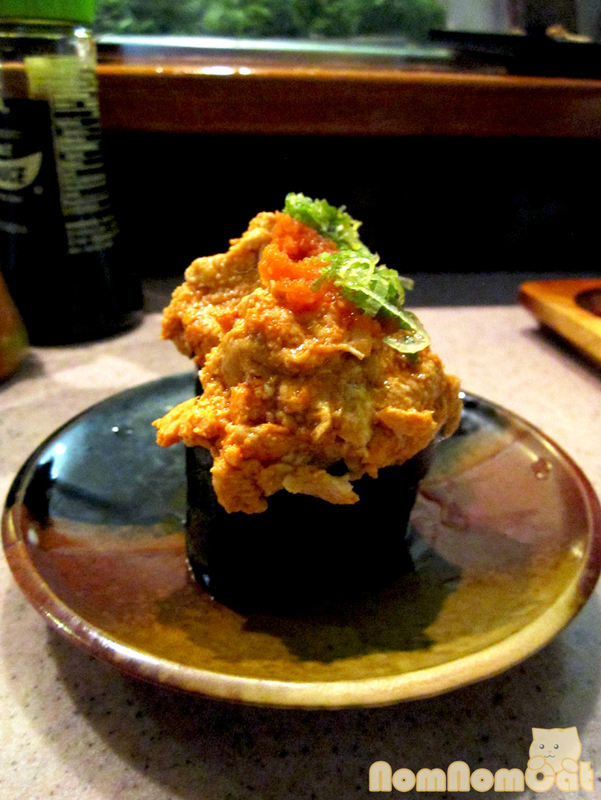 Ikura (salmon roe): Pop pop pop! I thought we were near the end when we were served those rich pieces of sushi, but we were just getting started! These salmon roe were briny and bright. 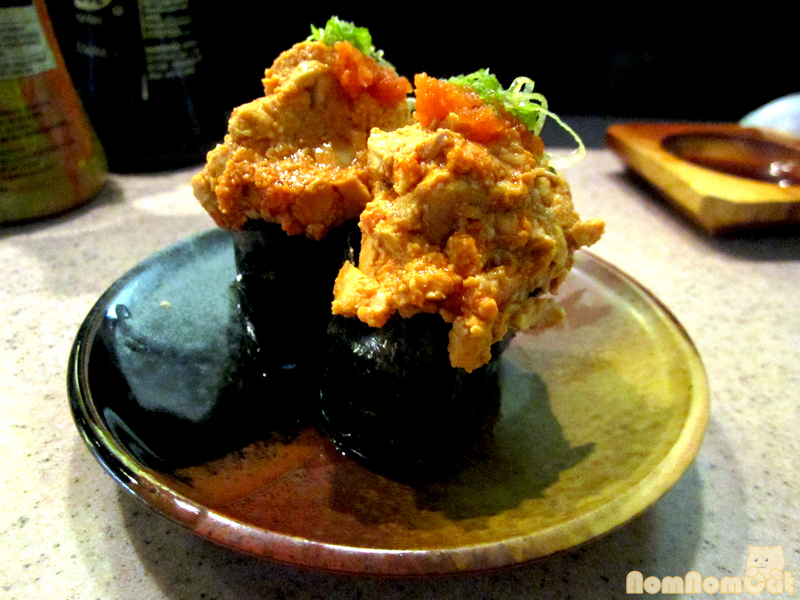 great to wash down the creamy uni and ankimo that preceded it. 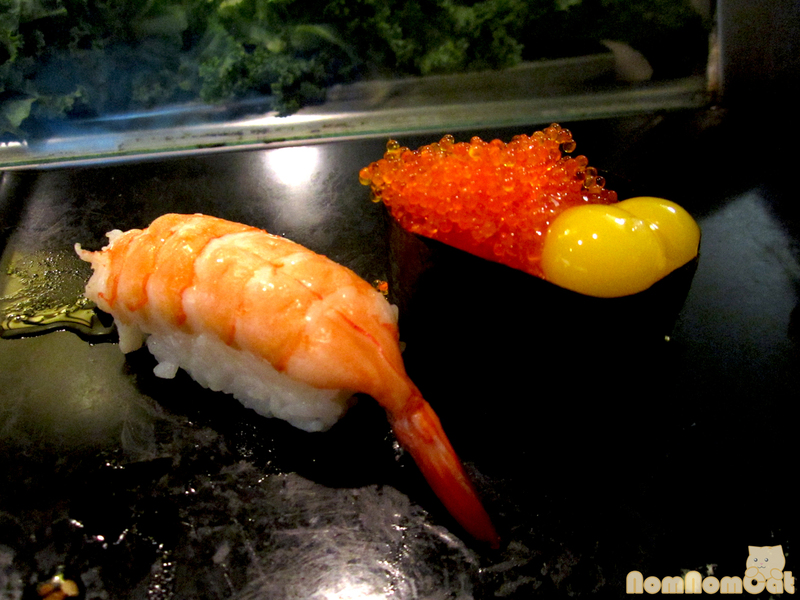 Ebi (shrimp) and Tobiko & Uzura (flying fish roe with quail egg): The steamed shrimp nigiri was not particularly special, but fresh nonetheless. But the “double egg”… this was the most unique presentation of nigiri we had today, And it was utterly delicious and thoughtful. 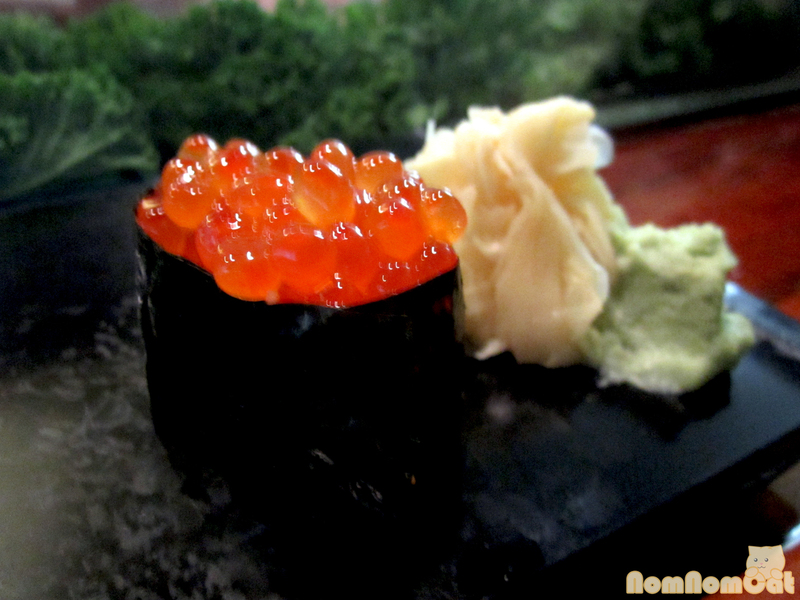 The tobiko were crunchy and briny, while the creaminess of the quail egg yolk mellowed out the flavors nicely. Loved it. 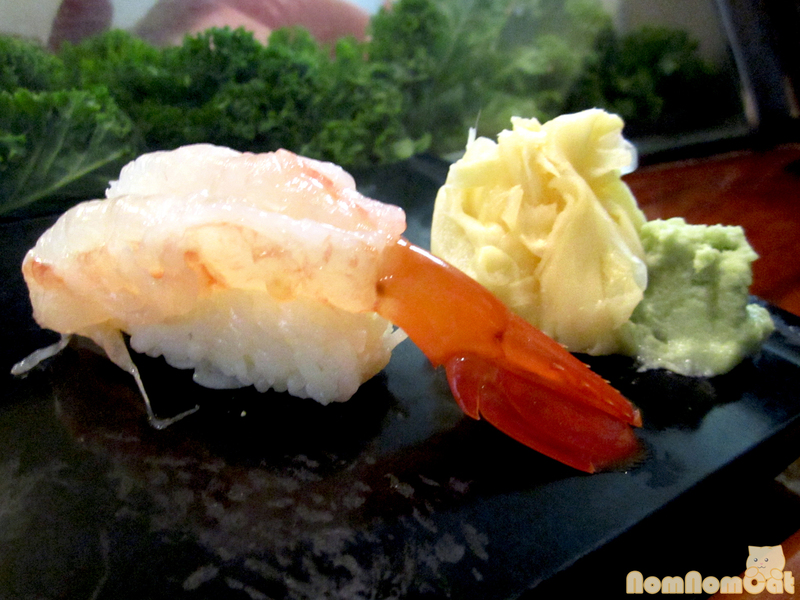 Hokkigai (surf clam) and Sake (salmon): The surf clam was huge, enveloping the rice as if it were a sleeve of inari. Crazy! 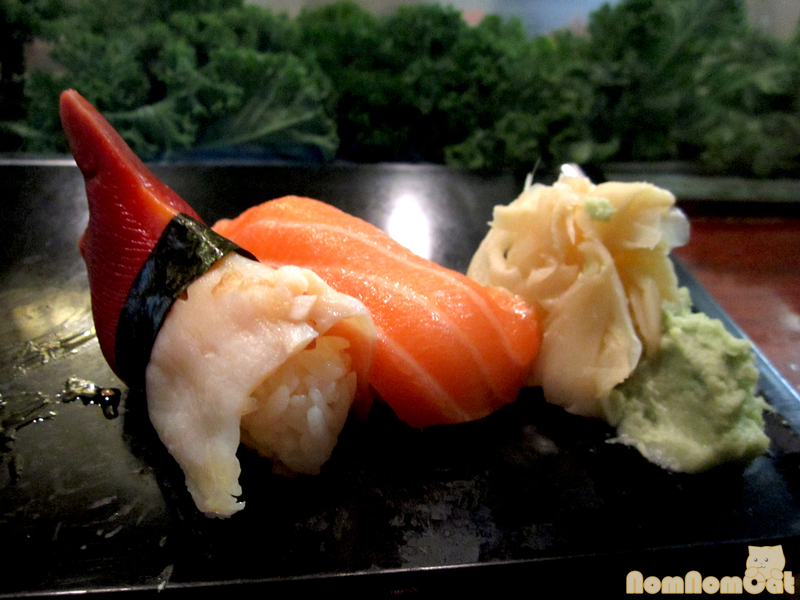 The salmon was sweet and glistening with its natural fattiness, a very reliable standby. 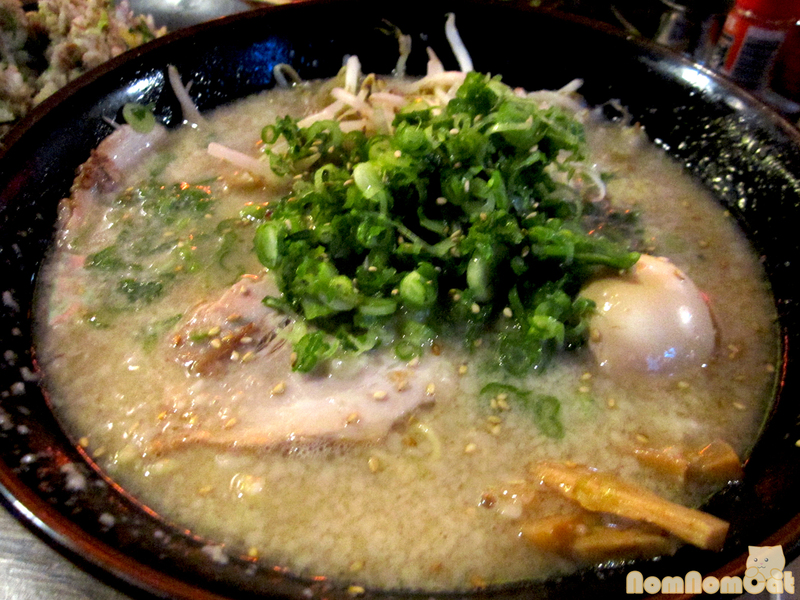 Tako (octopus): A thick and generous slice that was tender in the center but a bit chewy on the edges. Sadly, not our favorite. Unagi (freshwater eel): Drenched in its sweet caramelized sauce and toasted just a tad, this was a delectable morsel and one of my favorites of the evening. Tamago (sweet egg): Like “sushi dessert,” this was our final piece of the night. Funny story — just before it, the chef looked over at me inquisitively and I responded “onaka ippasugi!” (we’re too full!). He chuckled and then said, just one more! This was the one he presented to us to end the night, and boy were we pleased. By the end of the experience, we were so full! The total came out to just over $92, and it’s cash only so be sure to visit your local bank beforehand (but in case you forget or spontaneously decided to visit, they do have an ATM right when you walk in). Also, when ordering omakase for two, the chef will ask if you would like one piece each type of fish or a full pair per person (nigiri sushi, I’ve learned, is always made in pairs). We were glad we opted for one piece per; this way, we get to try a large variety of fish without getting too full off duplicate pieces. Two more things. One – when you first enter, hug the right wall as you walk toward the side of the restaurant where the whiteboard is. Most places have a clipboard for waiting lists, but Hide Sushi has a whole whiteboard. Add your name, party size, and seating preference (S for sushi bar, T for table). Easy peasy. 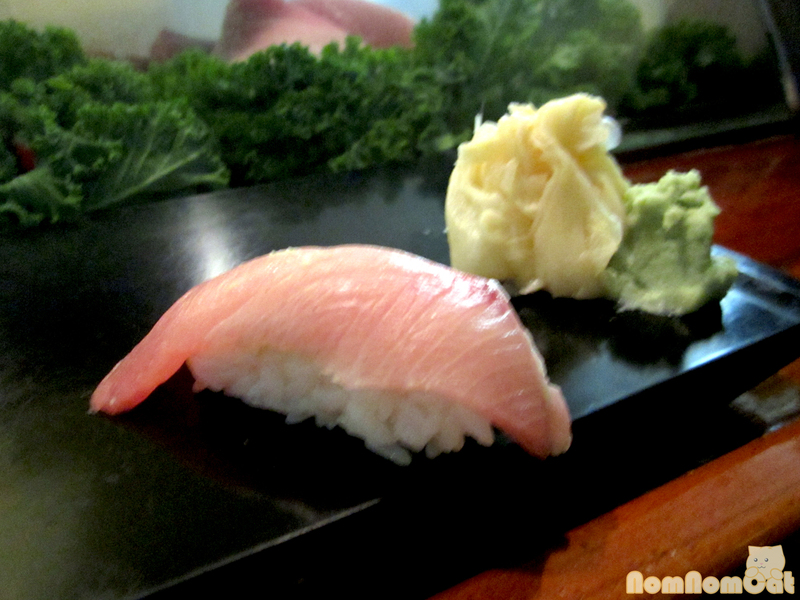 And two – unlike other places on Sawtelle, Hide Sushi has its own (free!) parking lot. So if you’re wandering around in Little Osaka and craving sushi, definitely make a stop at Sawtelle’s best kept secret and let the Chef choose your adventure. 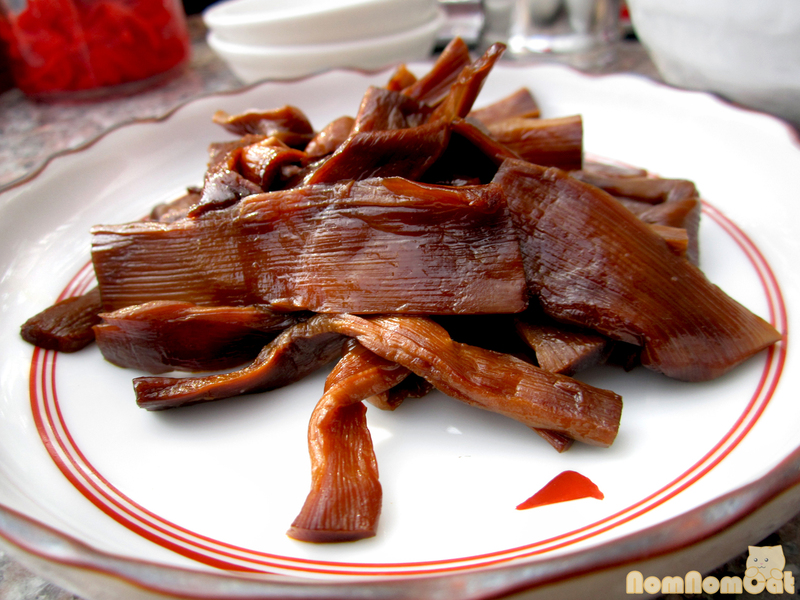 Whatever it is, it will be hontou ni oishii (really delicious)! 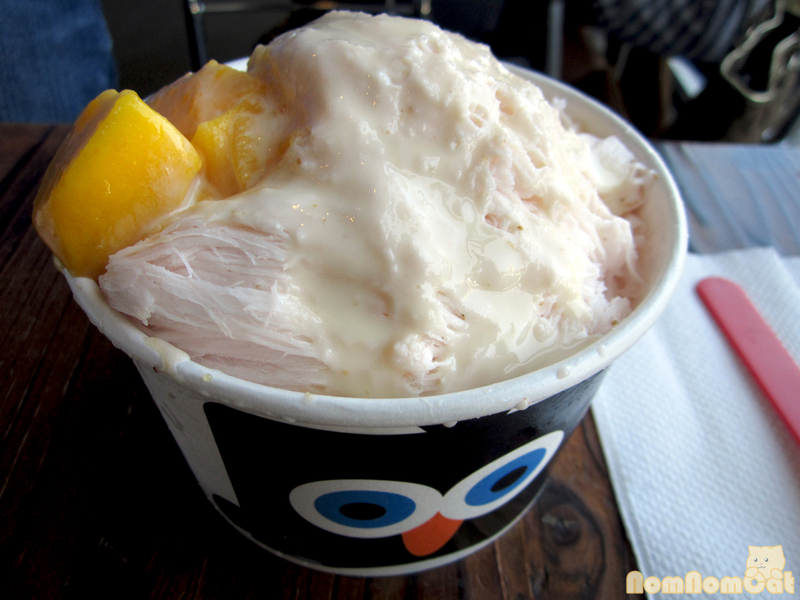 Shaved ice comes in many forms — piled high and topped with fresh fruit and condensed milk a la Guppy House, scooped into a cone and flavored with a rainbow of syrups, and lastly, a dessert whose fans will vehemently exclaim is spelled without the d – Hawaiian style shave ice. And then there’s Blockheads Shavery. 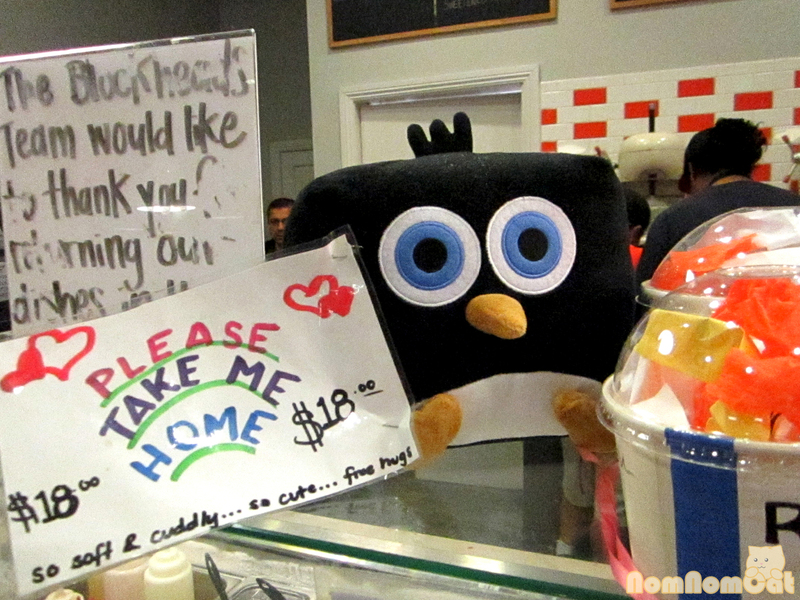 The cute square penguin joined the Little Osaka / Sawtelle scene in 2011 and brought with it a frozen treat they call snow cream. 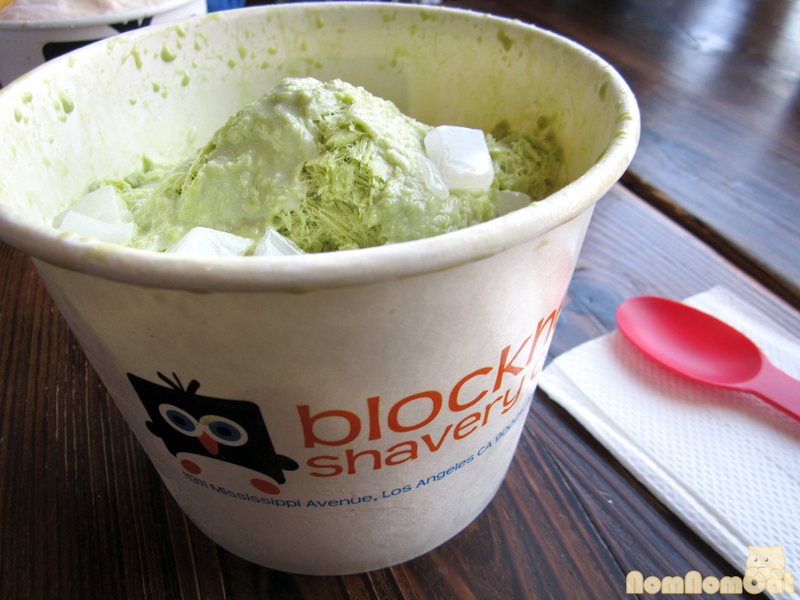 Combining the best traits of creamy ice cream and fluffy shave ice, snow cream is shaved to order from giant ice blocks here at Blockheads and comes in at least five flavors at any given time: plain/original, green tea, strawberry, black sesame, and a seasonal flavor or two that varies from cantaloupe to cappuccino to peach. If the menu offerings seem daunting, have no fear — you’ll have plenty of time to decide. There is always a long line out the door, especially on Friday nights when UCLA students flock to Sawtelle to congregate at SushiStop and a Blockheads dessert afterward. While waiting, take a look around at the adorable penguin paraphernalia, including the Andy Warhol style artwork on the walls. And the soft, soft plushie. Yes, I splurged on one. 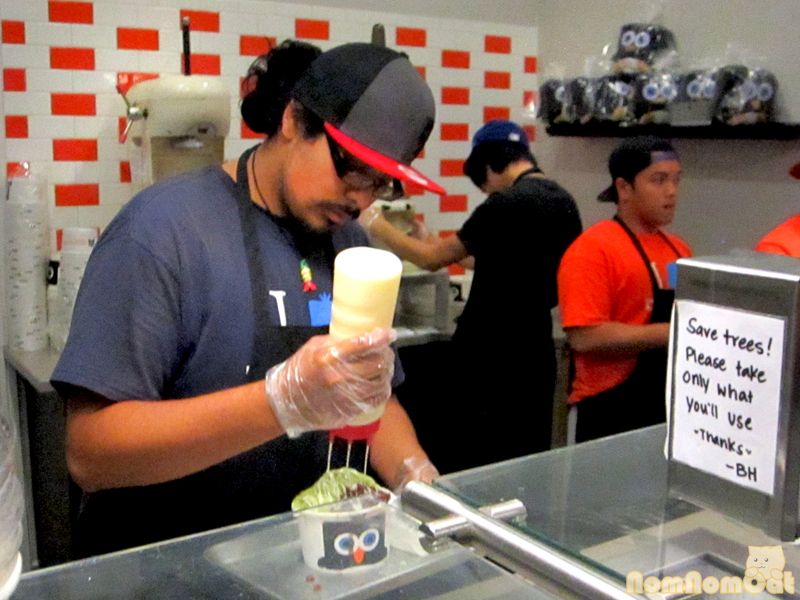 I like the build-your-own shave ice. 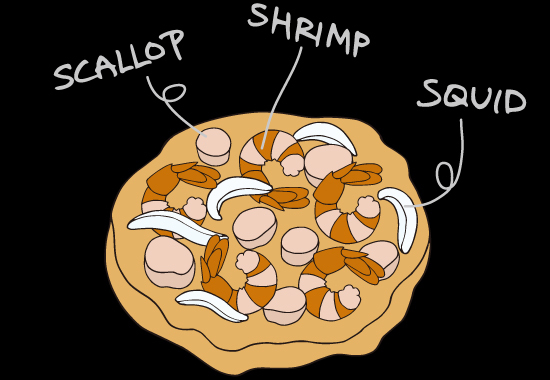 Just pick a flavor, a few toppings, and a drizzle. The pricing model starts at $3.50 for a regular bowl of just the ice and one drizzle. Add $0.50 for each topping, so choose wisely. 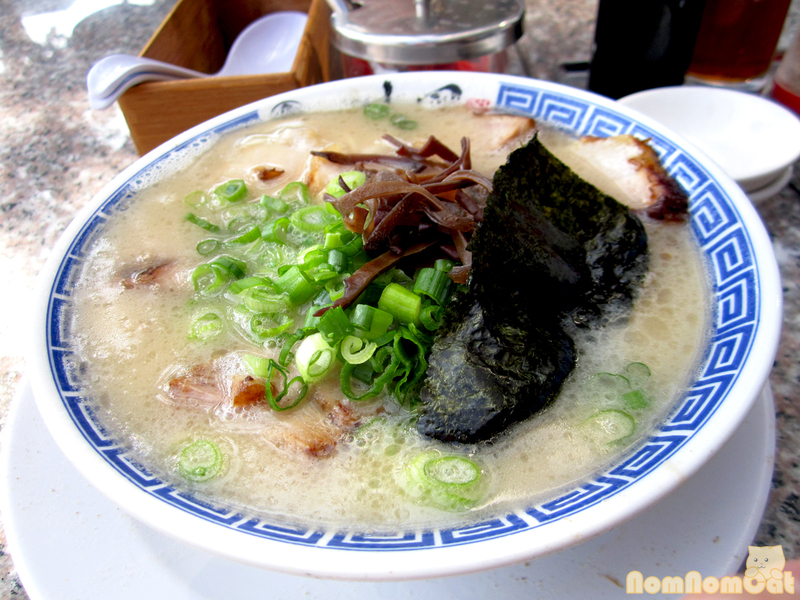 The variety of toppings include fresh fruit, mochi, jelly, rice cakes, red bean, and so much more. There are about half a dozen drizzles as well, but I think the most noteworthy ones are the condensed milk and the chocolate syrup. 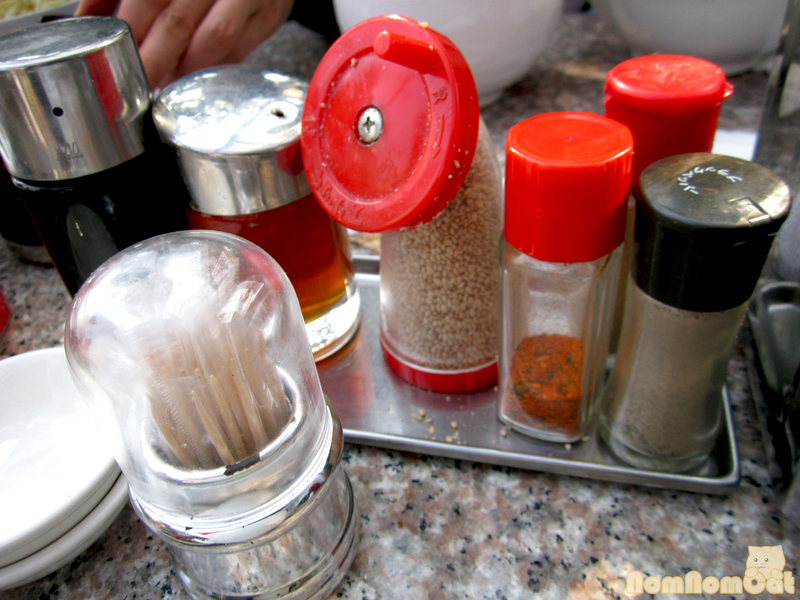 In case you get overwhelmed, they do have a menu of “favorites” that feature popular combinations of toppings. After hugging my newly purchased plushie and admiring the doodle wall for a few minutes, I finally heard, over the din of grinding ice blocks, my name called to pick up my order. Matcha (green tea) shave ice topped with cubes of almond jelly and a generous drizzle of condensed milk. Keepin’ it simple. The almond jelly reminds me of childhood and the condensed milk adds just the right touch of sweetness to the light and fluffy ice. Dining Companion #1 ordered the strawberry snow cream topped with fresh mangoes and drizzle of condensed milk. The fruity combination was like a taste of the tropics on a hot summer’s day. 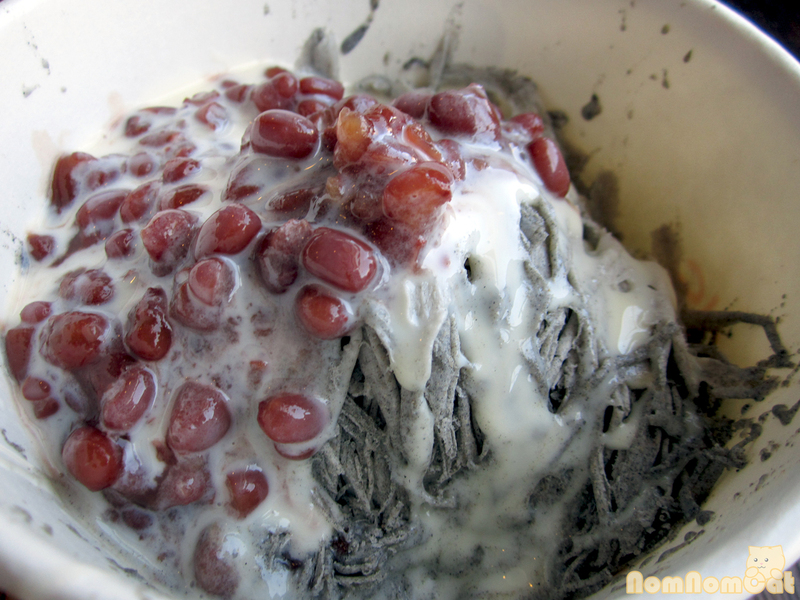 Dining Companion #2 assembled the black sesame snow cream with azuki (red beans) and drizzle of condensed milk. She remarked that the flavor combination was distinctly Asian and reminded her of some of her favorite desserts growing up. Black sesame, surprisingly, is one of Blockheads’ most popular flavors — clearly there’s a demand for their supply. 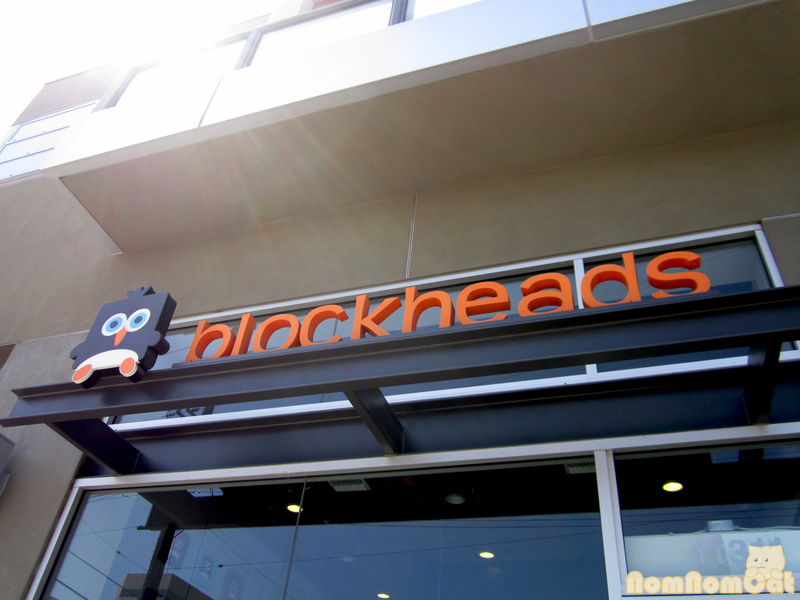 With the weather warming up, Blockheads Shavery is a great place to beat the heat and grab some sweet frozen treats. Gather a group of friends with similar tastes and order the large – it’s pretty massive and looked like tons of fun to dig into. 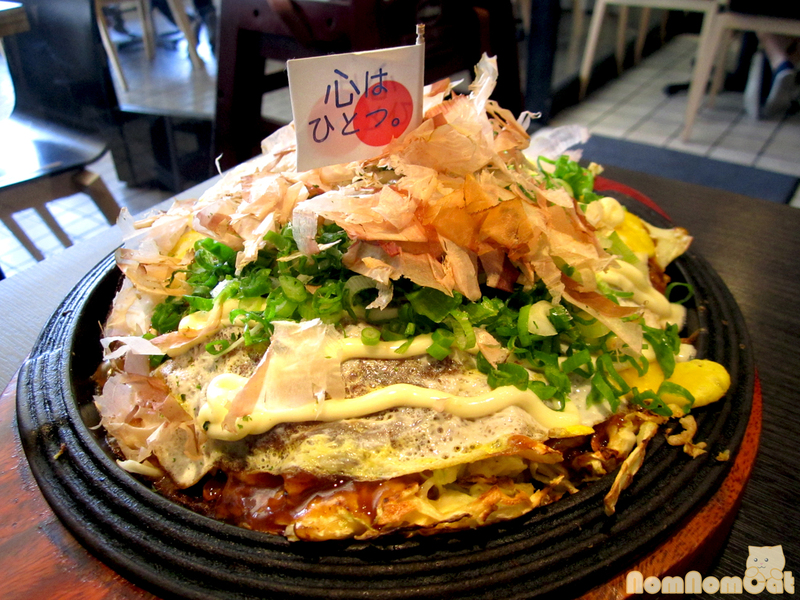 Okonomiyaki (お好み焼き) is often translated as a Japanese “pancake” or “pizza” with a cabbage & batter base, assorted toppings that range from octopus legs (たこ, tako) to cheese (チーズ, chiizu) to bacon, and typically drizzled with the sweet and viscous Worcestershire-based okonomi sauce. 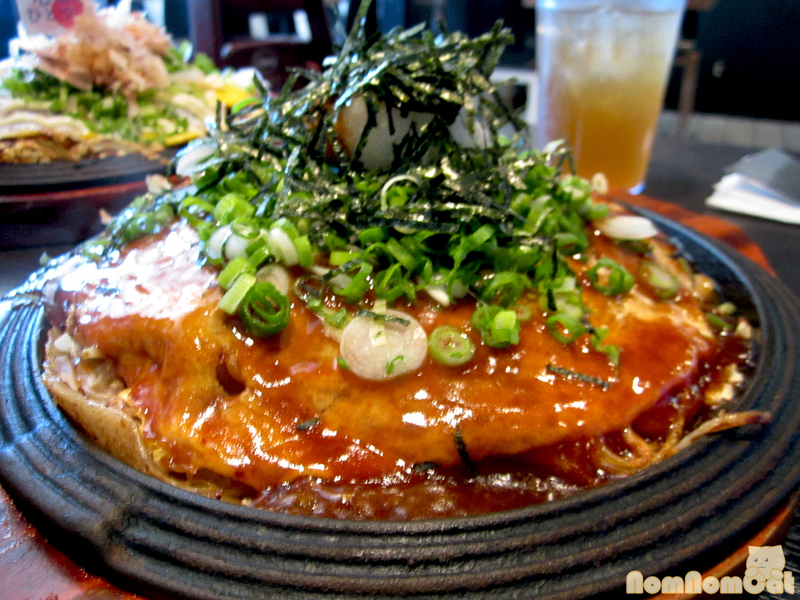 And for such delicious comfort food, okonomiyaki is pretty hard to find in LA (though there is no shortage of sushi, ramen, and izakaya joints if you know where to look!). 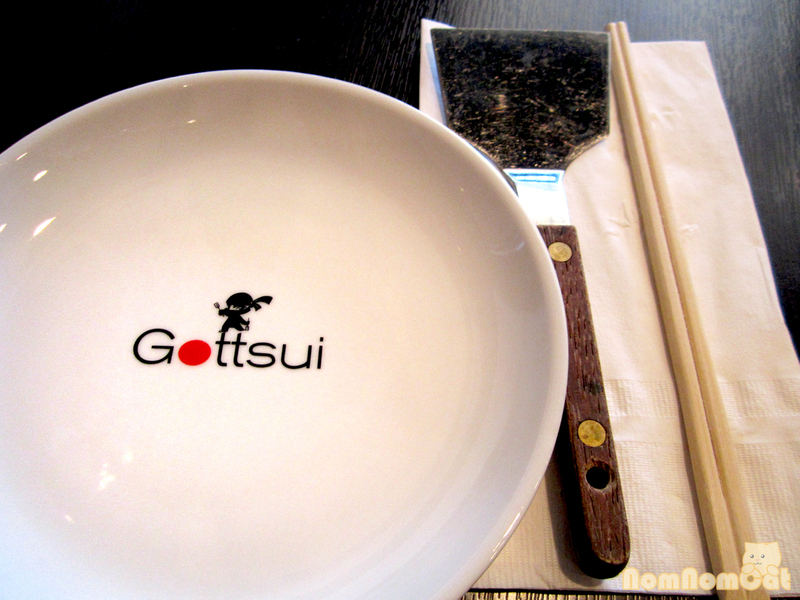 So when we found Gottsui in one of the busiest plazas on Sawtelle, we were super excited. 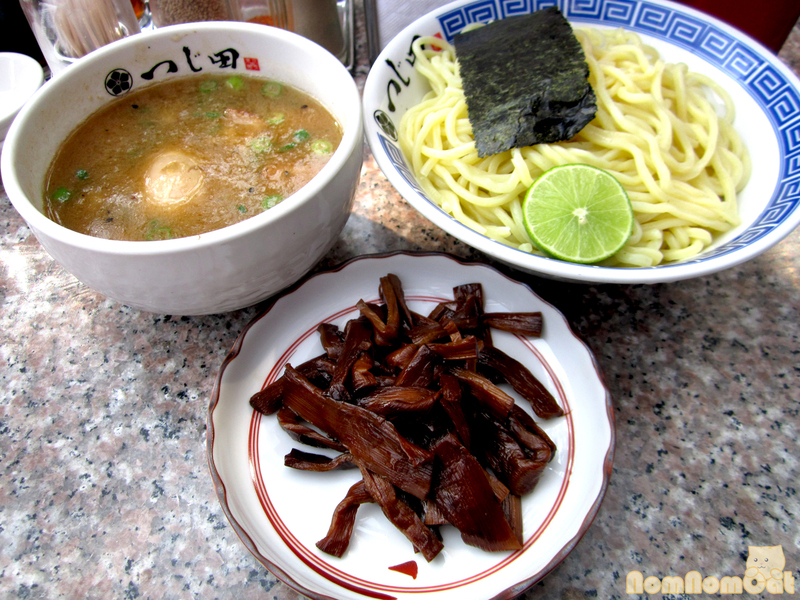 It’s appropriate that this Kansai-based dish had found its LA home in Little Osaka. 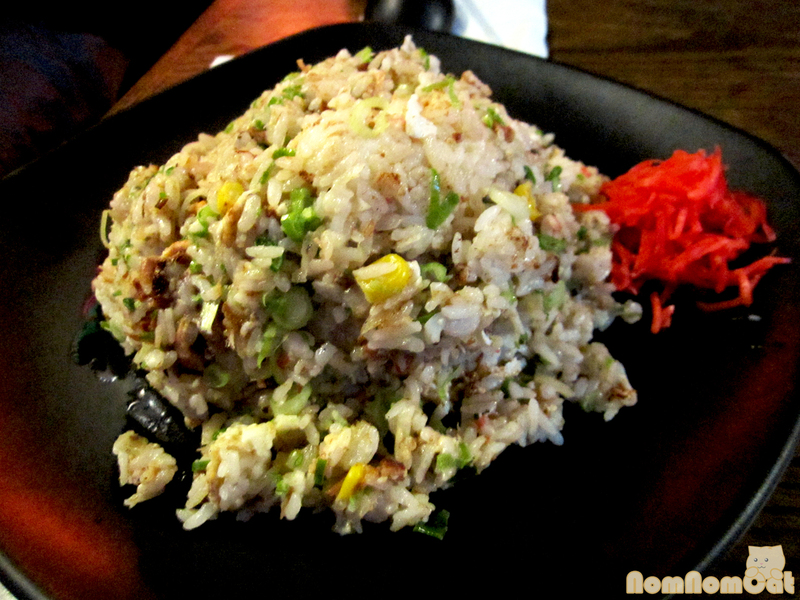 Yosh – ready for okonomiyaki! I was so thrilled that I went twice in one week, bringing along different friends each time. 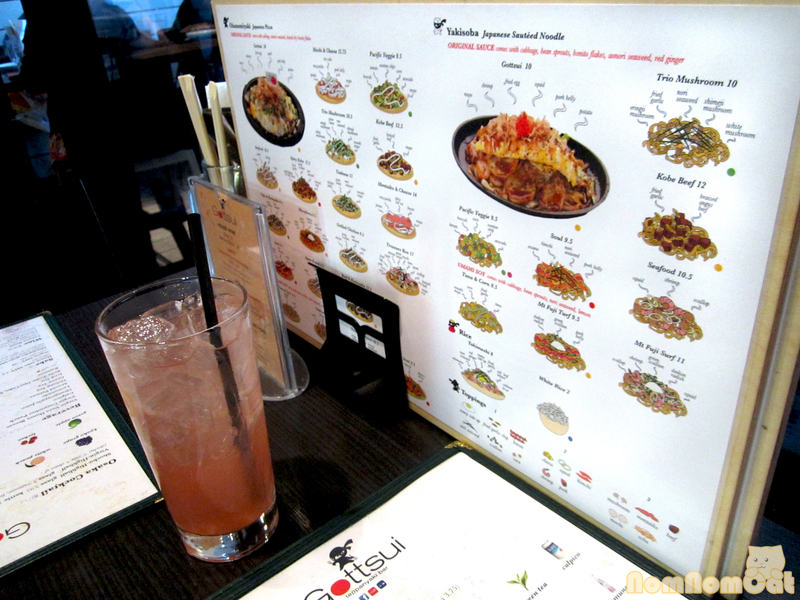 After being greeted with a loud and hearty irrashaimase ( いっらしゃいませ), we were seated immediately and presented with heavy, laminated menus with cute illustrations depicting each of the many, many okonomiyaki and yakisoba dishes and their toppings. This lowered any language barriers and made it easy to point & choose as needed. On my first visit, we were celebrating the end of a long week, so the boys ordered steins of the Kirin draft and I had a white peach shochu cocktail (もも チューハイ, momo chu-hai), sweet and balanced with just the right amount of shochu (a Japanese vodka). 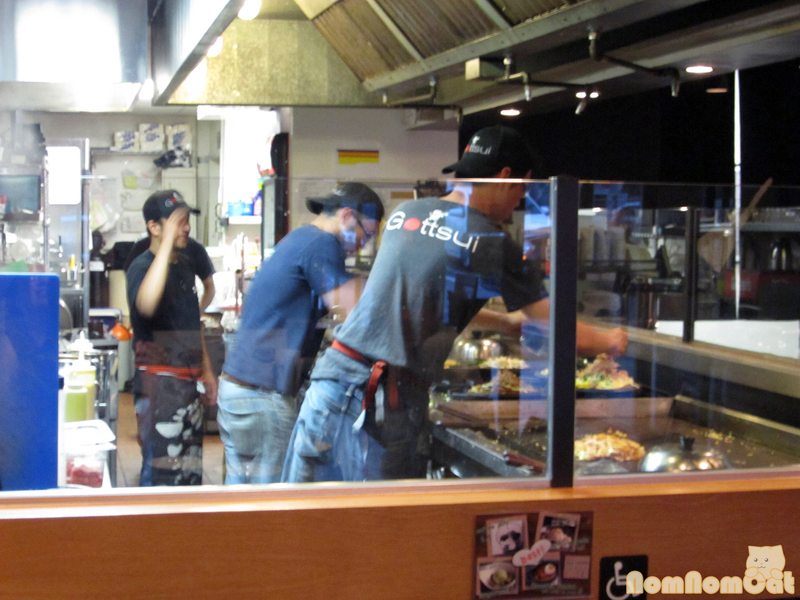 As we sipped away, we could observe the chefs preparing other diners’ okonomiyaki on the huge teppan grill behind the counter. 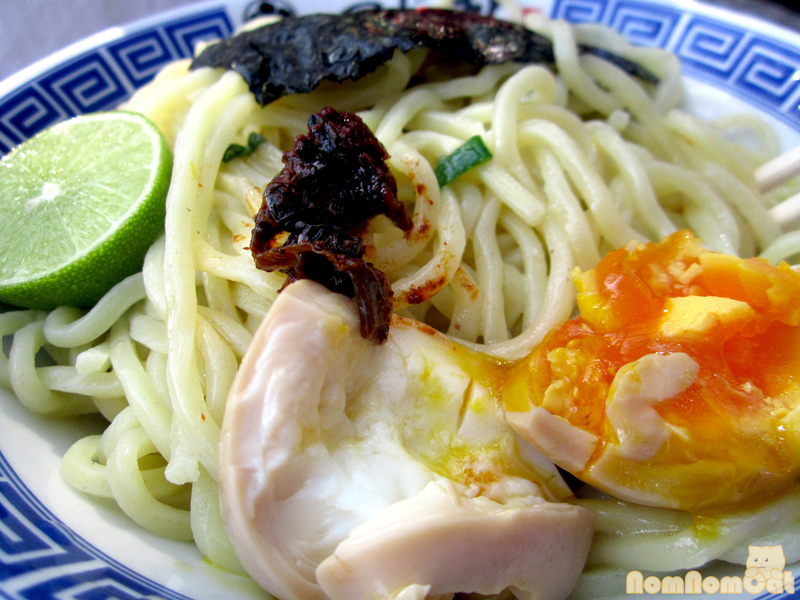 Nothing like the sizzling hiss as the cabbage and batter mixture first hits the griddle to really whet our appetites. With so many options to choose from, I was a bit overwhelmed but decided to settle on the Seafood Okonomiyaki, substituting wasabi mayo for the regular. And boy was I glad I did! Filled with bits of squid legs, shrimp, and scallops and topped with seaweed (のり, nori), copious swirls of okonomi sauce and pale green wasabi mayo, AND dancing bonito flakes, this was really heaven on a skillet. The base was full of wilted cabbage, barely held together by tasty batter. 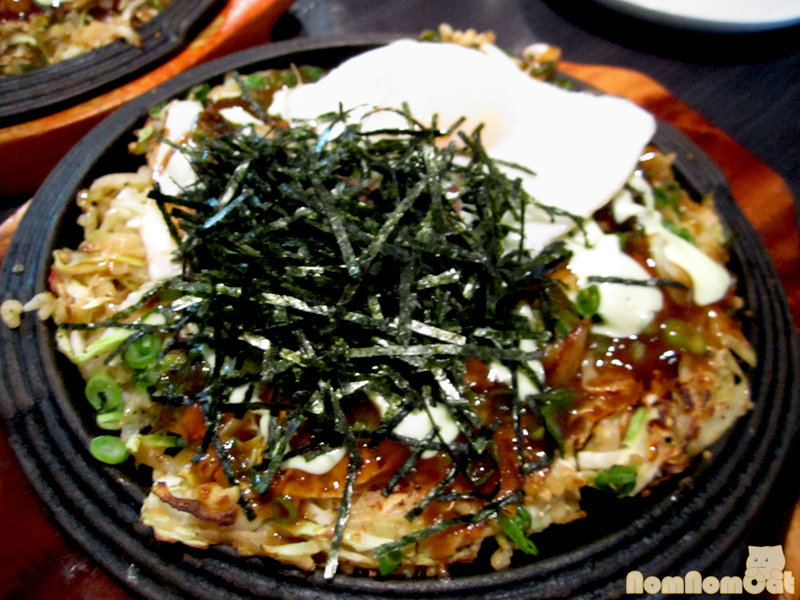 I’m not a huge fan of cabbage but I LOVE okonomiyaki. With flavors reminiscent of my very favorite snack takoyaki (たこ焼き), this was so good that I ordered it again on my return visit! Martin ordered the Trio Mushroom Okonomiyaki, topped with a combination of shimeji, eringii, and white button mushrooms along with green onion (ねぎ, negi), nori, and wasabi mayo. 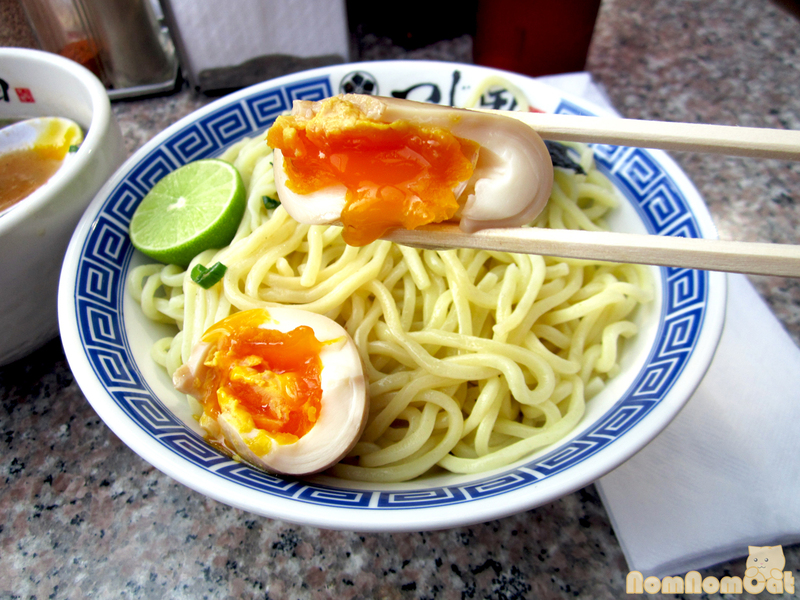 Deliciously earthy and vegetarian, I really enjoyed this one, especially since Martin opted to add one very crucial topping – a perfect fried egg with crispy edges and an oozy yolk. 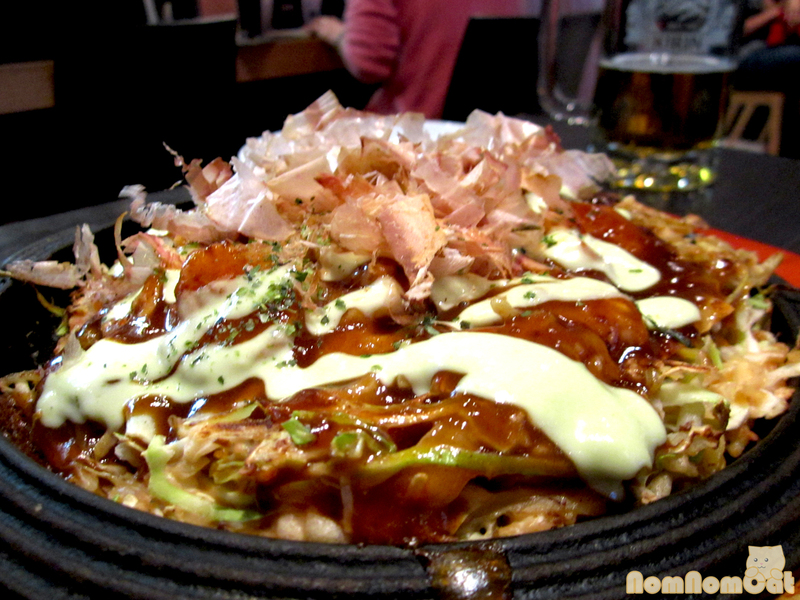 Gottsui Okonomiyaki – the flag says Kokoro wa Hitotsu, or One Heart. At each visit, one of the people in our group ordered the original Gottsui which comes with pork belly, shrimp, squid, potato, fried egg, and mayo. 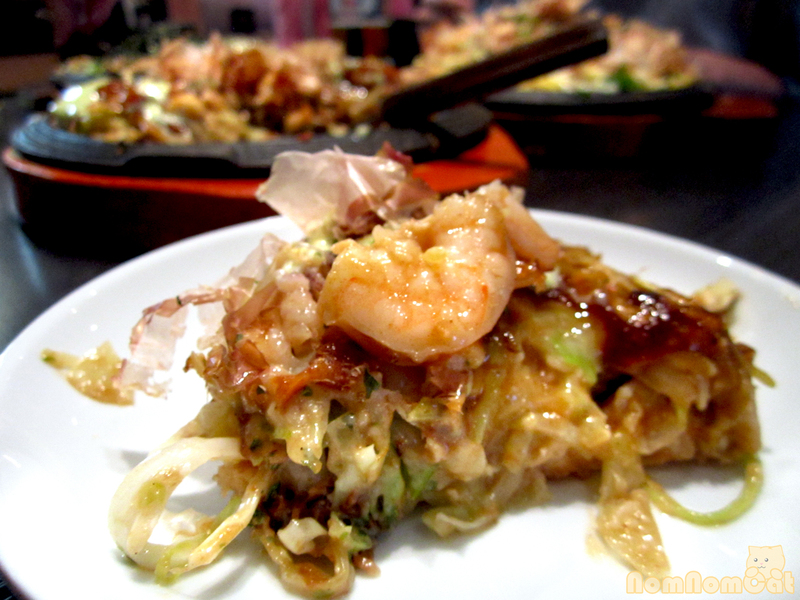 Basically, it was an okonomiyaki with the works. This was also quite good and the potato, which I was skeptical about, was an excellent starchy vehicle for the okonomi sauce. 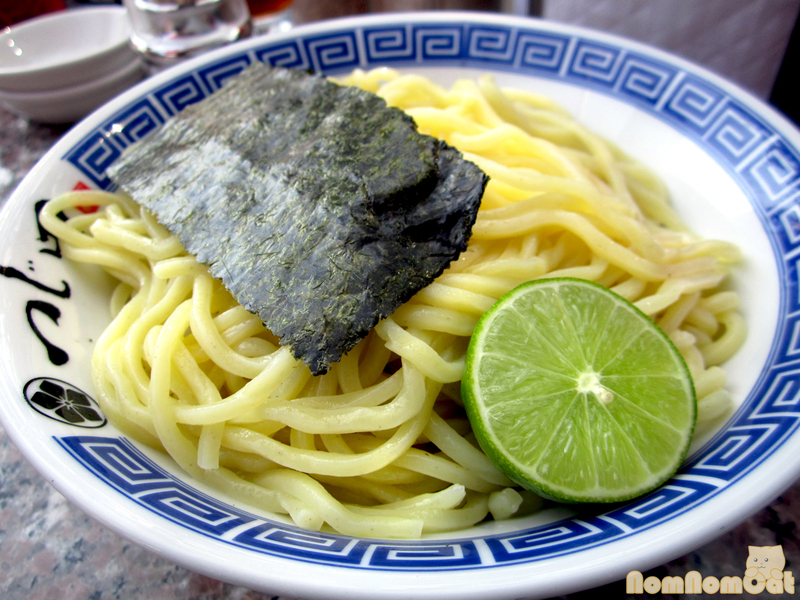 The last one that I was able to fortuitously sample thanks to friends who love to share was the Hiroshima – the only okonomiyaki with a soba noodle base (not the dark buckwheat kind, but the yellow noodles that put the soba in yakisoba). It was topped with pork belly, green onion, daikon radish, and nori and drenched in sauce that was sweeter and stickier than okonomi sauce. 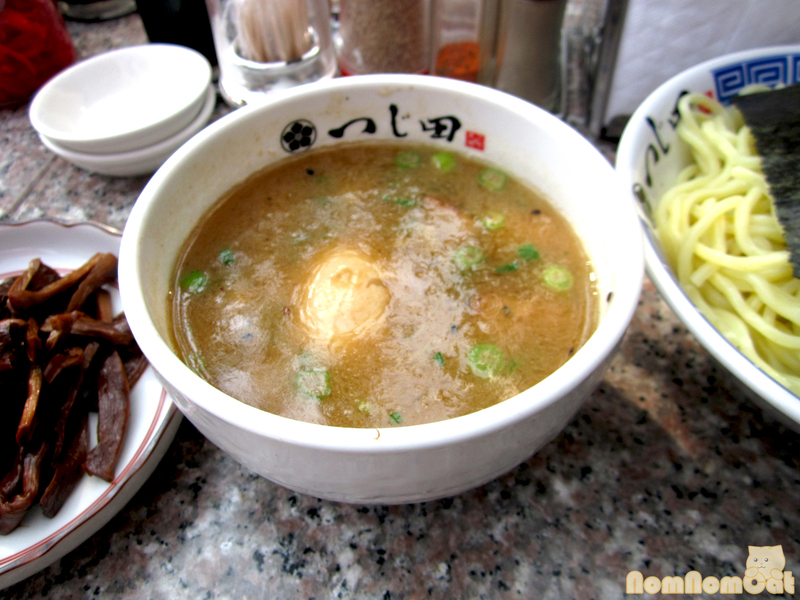 The texture was pretty interesting, although the noodles made the okonomiyaki more difficult to cut into. My phone now will try to autocorrect “ok” to “okonomiyaki” when I type up text messages, thanks to that fateful week of coordinating not one but two visits to Gottsui. 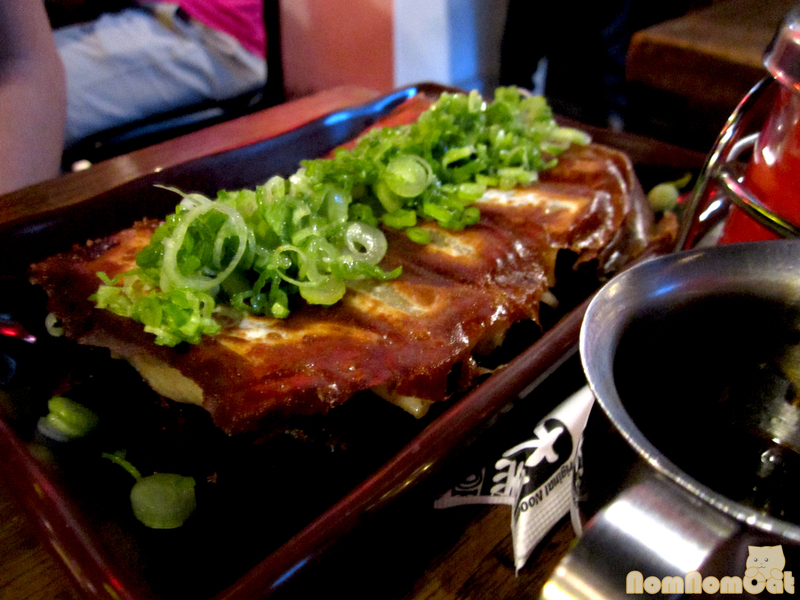 Now that I know where to find some yummy, hearty okonomiyaki on the Westside, you can bet I’ll be coming back! Also, if you’re going to be in the LA area this weekend, be sure to check them out at 626 Night Market. They will be one of the many vendors this Saturday & Sunday (June 8-9th)!